Prior to Wednesday night’s contest against Wheaton, Chicago head coach Mike McGrath said that the Maroons’ success would largely depend on taking care of the basketball. After losing 64–52, third-year forward Sam Gage agreed with McGrath’s preview. Specifically, he said that after tying the game three times toward the middle of the second half, the Maroons’ offense did not control the ball well enough to win. That 8–0 run began with 7:25 and ended with 3:53 left in the regional contest. The loss puts the Maroons at 3–2 on the season while Wheaton remains undefeated (4–0). Aside from forcing 13 Chicago turnovers, Wheaton contained the Maroons to just five three-point attempts that were all missed. Gage attributes this to the Vikings’ aggressiveness behind the arc. “Wheaton likes to pressure the ball and deny the wings,” Gage said. Second-year guard Alex Pyper, the leading returning Maroon in three-point attempts from last year, scored eight points, all from the field. He shot two times from behind the arc. Even with the defensive pressure and lack of three-point attempts, Chicago remained in the game until the final minutes in part because of Nate Brooks’ three offensive rebounds and nine points inside. 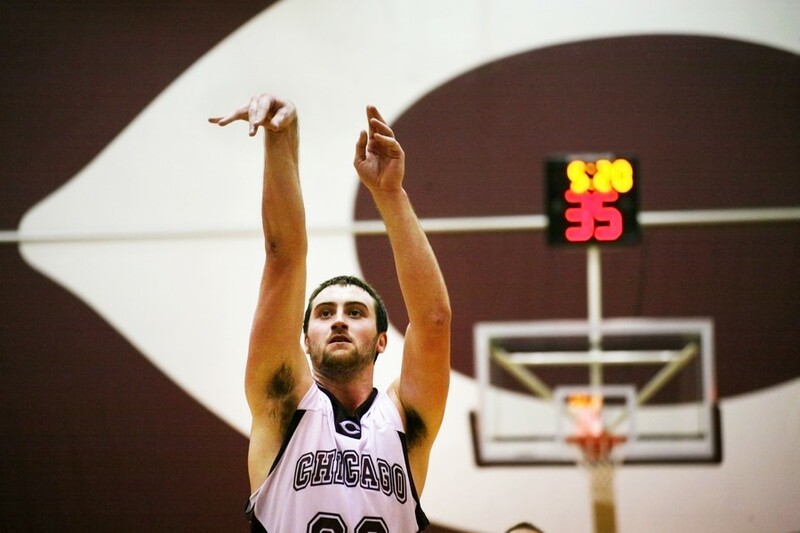 Gage led the Maroons in scoring with 11 points, followed by first-year guard Jordan Smith’s 10. On the whole, Pyper said that the Maroons played much better against Wheaton than against Augustana, who handed Chicago its first loss of the season on Saturday. The Maroons look to end their two-game losing streak at Kalamazoo (2–1) this Saturday. Tip-off is scheduled for 3 p.m. ET.